In this article we will learn how to pass values to model class using Jquery in ASP.Net MVC. 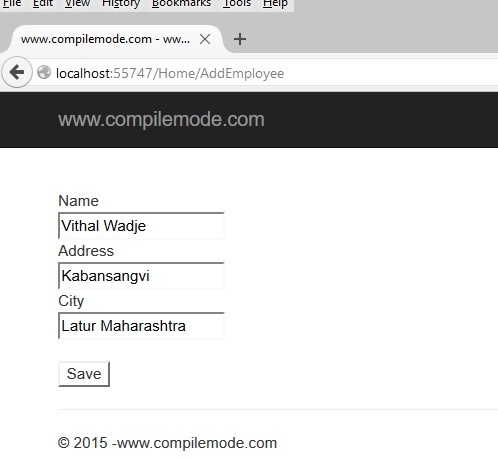 So let's demonstrate it by creating simple MVC application. Now open the AddEmployee.cshtml view and create the following JQuery Post method to call controller . or you can use same file by downloading it as offline jQuery file. Now everything is ready ,run the application and enter the details into the following form .